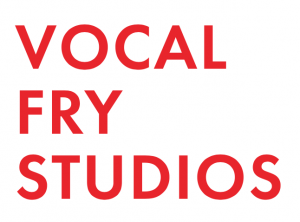 Vocal Fry Studios was created by Vicky Mochama and Katie Jensen, two Toronto-based journalists who wanted to create a safe, accessible and inclusive podcast workspace. You can help support Vocal Fry Studios by becoming a patron of their Patreon. Vicky Mochama is the national columnist for Star Metro and a columnist for the Toronto Star. She has written for Vice, Globe and Mail and Hazlitt. She is the co-host of Safe Space and former co-host of Canadaland Commons. Katie Jensen has produced audio for Metro News Canada, St. Joseph Media, Motherboard, Polaris Music Prize, Appcanary, The Imposter, and Canadaland. She currently works onThe Secret Life of Canada, Safe Space, Polaris Podcast, and Avocado Toast. After years of recording in our bedrooms, living rooms, and weird offices, we decided to make our own podcast community hub. 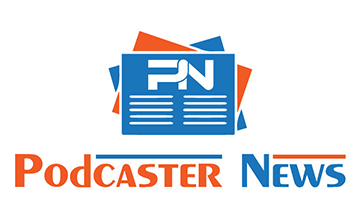 We offer access to podcasting workshops, custom podcast creation, and studio space. Vocal Fry Studios has a survey you can fill out if you would like to give them input about what “the podcast studio you always wanted” should be like. Vocal Fry Studios is creating a freelance podcaster roster right now. They also want to work with people from underrepresented groups. There is a form you can fill out if you want to be added to that list. Custom Podcasts: They work with clients to create high-quality engaging podcasts that audiences will listen to and love. 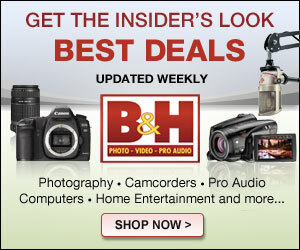 Studio Rentals: They have a professional-quality podcast recording studio with affordable hourly rates and great gear.